Valve's app for streaming games to smartphones made it to Android, but Apple shut it down. And just like that, Apple has killed the the Steam Link app. 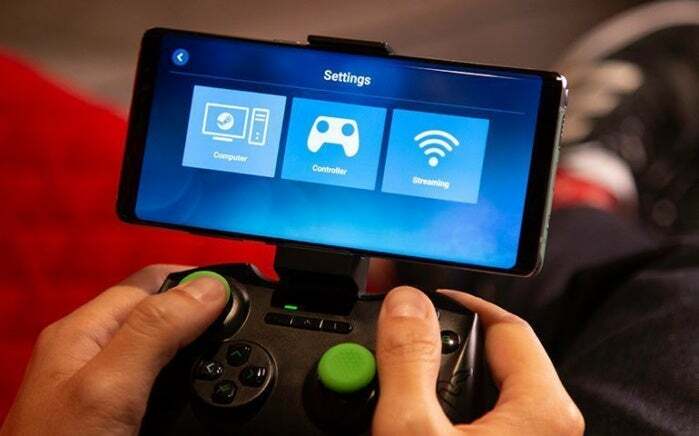 Earlier this month, Valve, the owner of the wildly popular gaming digital marketplace Steam, announced that it would soon release a Steam Link app that would allow players to stream games from gaming PCs directly to their iPhones, iPads, and Apple TVs (as well as Android devices). The Android app made it into the wild last week, but for the last few days we’ve been patiently waiting for the app to make it through Apple’s approval process. This afternoon, Valve sent an email to Macworld letting us know that Apple had rejected it. That’s a massive shame, as it would have allowed us as Apple users to play graphically intensive games such as The Witcher III on our flippin’ phones rather than on a console or in front of a desktop PC. You didn’t even need the $50 physical Steam Link device that Valve sells for streaming from your PC to your TV; instead, the app itself would suffice. For that matter, you could use Valve’s own Steam Controller with the service, along with popular Made for iOS controllers like the SteelSeries Stratus XL. We’d even planned on hosting an episode of Apple Arcade focusing on the Steam Link app, and the enthusiasm was significant enough that some readers sent me recommendations for games they’d like to see played on the stream. Unfortunately, we never received a code and, of course, the app never released. And, for now, it looks like it never will. It’s one of the few real downsides of Apple’s rigorous approval process for the App Store, and the fact that Apple feels comfortable in shutting down a company as large as Valve—which amassed $4.3 billion in revenue last year—shows how seriously Apple takes its standards. As do we, Valve. As do we.